Recently, my daughter’s paediatrician told me that I needed to not be such a good parent. “Sorry?” I queried. Did I hear that right? It’s not everyday that someone tells you to do something worse, especially in the often fraught world of child rearing. She was, rather kindly, trying to tell me to stop anticipating my infant child’s needs and instead let her ask for things. It occurred to me later that the same is true for high school aged children. We need to step out of the space in order for them to step in. 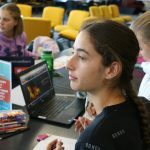 The conversation I’d had with my doctor was still front of mind on Thursday when 80 students descended upon the library ready to write, illustrate and edit a book all in one day. 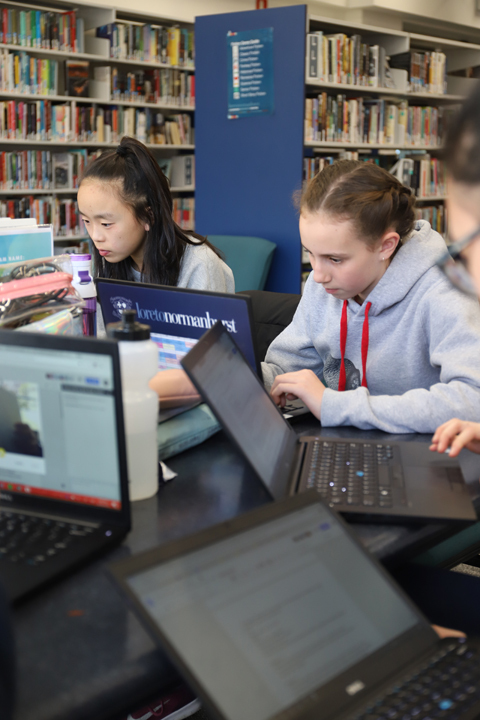 Here were students abuzz with energy and enthusiasm, students who’d arrived early to school and who’d committed to staying back late in order to ‘get it done’. Almost 60% participated in previous years and were back for more. As an educator (and a parent) I looked around the library at the excitement for what in reality would be a hard day’s work and wondered, what’s the secret here? 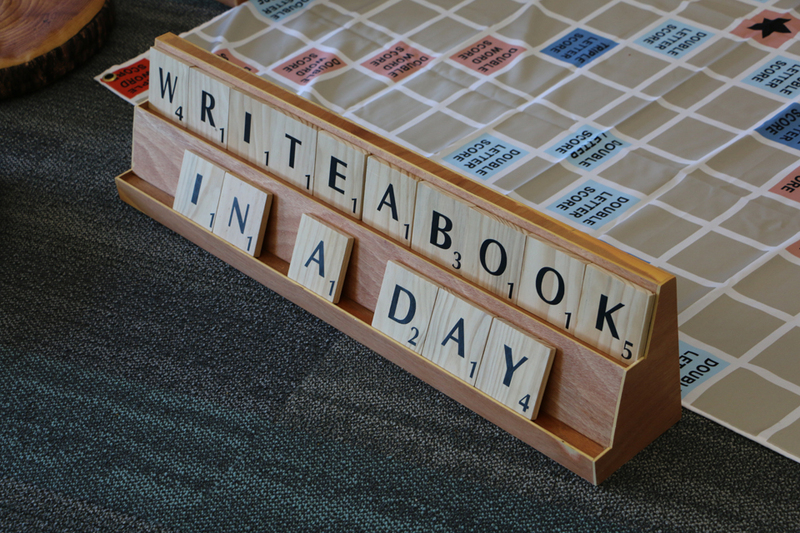 When asked what the best thing about ‘Write a Book in a Day’ was, students overwhelmingly responded with some variation on working in a team. In fact, many expressed amazement at being able to work so well together. The ability to collaborate stands them in good stead as we hear time and time again that the future of work will increasingly involve solving problems by working in multidisciplinary teams and distributed teams – sometimes with people who are very different to you. Successful collaboration therefore, requires knowing how to communicate your particular knowledge and skill sets clearly to a diverse group. 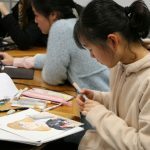 I was interested to note the cohort of students participating in ‘Write a Book in a Day’ were themselves an unexpected group, they came from all year groups and had varying skills in both English and drawing. I had a particularly endearing conversation with one student who told me she wasn’t a ‘good writer’ but felt she had other talents to contribute to the group. I wholeheartedly applaud this student’s bravery, sometimes you don’t know what you’ll be able to contribute until you’re put in the situation and asked to figure it out. In case you’re wondering, she constructed a riddle within the narrative that the reader needed to solve as they progressed. It illustrates my point perfectly, you won’t get an unexpected result with an expected team. In this instance, students choose their own teams and they loved working with friends all day. They did however, have to take on particular roles and many found this a challenge. Each team needed to put forth a team leader prior to the event who was in charge of collecting permission slips, organising fundraising, communicating messages to their group and the run sheet on the day. When I moved around the library and spoke to the different groups some were operating as a well oiled machine and attributed their cool demeanour to strong leadership, other groups were functioning like the USA and Canada trying to agree on a trade deal. Communication, or a lack thereof, is obviously fundamental to the success or failure of a group project. Some groups told me they wasted valuable time by doubling up on illustrations or wrote chapters in different tenses because they hadn’t assigned tasks clearly enough or weren’t listening when others were talking. Another challenge to be negotiated was whether or not to accommodate everyone’s ideas. Some groups got bogged down at the outset by trying too hard to weave every idea in and ended up with an unmanageable story line. Groups with diplomatic and skilled editors managed to navigate back and forth between the generation of ideas and converging on the best ones to champion forward. 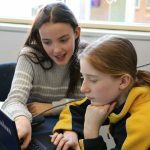 There’s a phrase I use often when talking about future career ambitions with students; it comes from Jan Owen AM who is the CEO of the Foundation for Young Australians. She talks about “meaning meeting ambition”. Owen is getting at the idea that young people today aren’t necessarily looking to climb a corporate ladder and they’re not solely motivated by money. Rather, they’re looking to tie goals, achievements and status to issues that matter to them. Personal fulfilment (doing something they feel is important) and a congruence of values between the individual and the company are increasingly essential to millennial job seekers. The books students produce and publish for ‘Write a Book in a Day’ are all sent off to the Kids Cancer Project and read by sick children. I spoke to some students about the fact that cancer doesn’t discriminate, it’s not bound by race, class, income, gender or indeed, age. We also reflected on the fact that many of our Loreto families have been touched by it in some way. 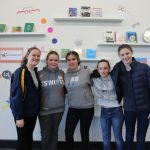 The opportunity to communicate with other young people who are going through a frightening and uncertain time gave the task a higher purpose than an end of term mark. It motivated them to do their best work and to keep doing their best work when the going got tough. Many groups elected to include a personal message to the unknown recipient of the book. I have chosen not to publish them here as I felt there was a beautiful intimacy from one child to another, a small note to let someone else, someone they’ll likely never meet, know that they’re thinking of them and wishing them well. We had the “meaning meets ambition” framework in mind when we were thinking about how to run the day. 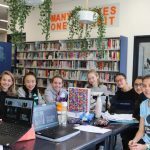 This year I wanted to transform the library into a contemporary office space, partly inspired by our recent Year 10 workshop in the Sydney Atlassian offices where the company values are both highly visible and underpin all the company does. To that end, we equipped as many teams as possible with whiteboards or window markers for planning and placing their shared vision in a place where all team members could see it. We also created breakout spaces that ranged from giant chess and scrabble to lounges and pillows. Freedom of movement is essential to the creative process whereby students move in and out of zones depending on the task at hand. Interestingly, cushions and reclining positions are better for the critique process whereas standing or sitting lead to a better generation of ideas. 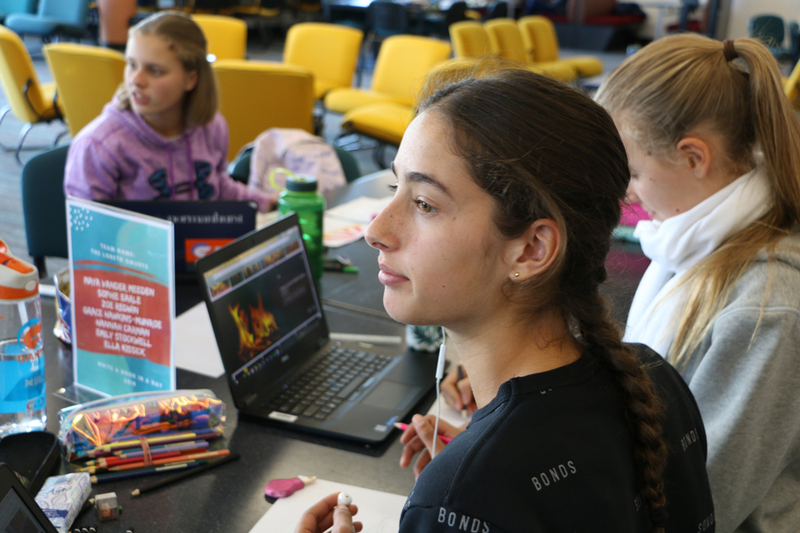 Changing the physical library space as well as the structure of the day were essential to creating an authentic experience for the students. Doing away with the 55 minute periods and structured morning tea and lunch breaks were about fidelity to a work environment where you must manage your own time. 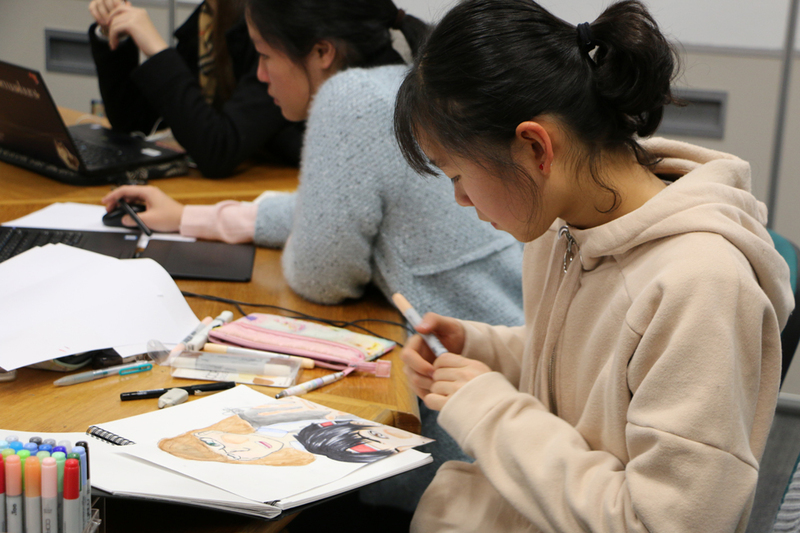 Having an extended period to work on something also allowed students to achieve flow, something many of the illustrators commented on in particular. Despite being tired by the end of the day many students were surprised and delighted by their achievements: a published book. The surprise element gave me pause. Where does the low expectation come from? Is is self belief? Is it learnt behaviour because other people are always at the ready to swoop in and assist? Naturally I thought back to that conversation with the paediatrician, where she chided me for doing too much. The notion of ‘parenting’ is a fairly modern phenomenon and its driven by input, by which I mean we tend to think about what we can do for children, how we might get them to a certain point before releasing them into the wider world. When surveyed , 95% of students said they would participate again next year. I wonder whether this engagement is partly because we stepped out of the space and handed the reins over to the students, we trusted them to get it done. As an English teacher it was difficult walking around and not being asked to weigh in on plot lines or character development. It was even stranger uploading the books without having edited them. 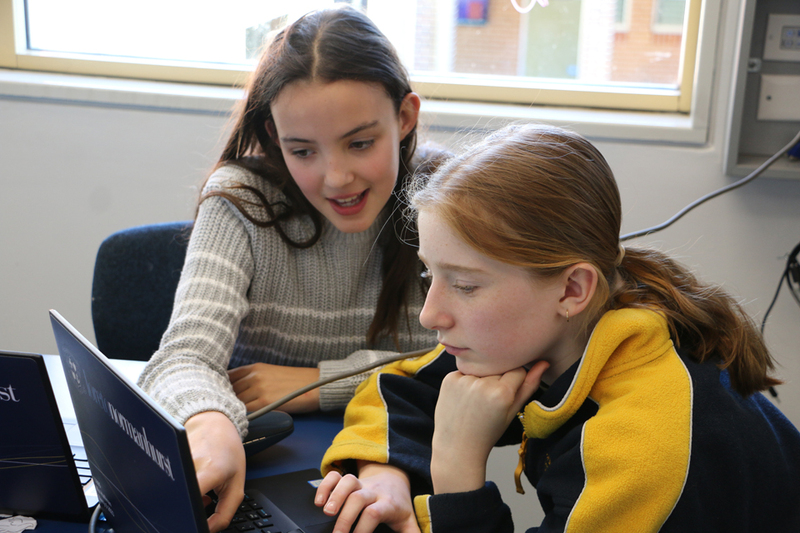 The books were of course edited and they had crafted plot lines and consistent characterisation, it’s just that students were in charge of the process – 100% of the process. In addition to the responsibility being placed firmly on their shoulders there simply wasn’t time to consider whether or not they’d pull it off. If you don’t have time to think about failure, you won’t be paralysed by it. 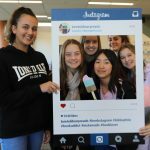 What a great learning experience for these young women who will undoubtedly face deadlines and be asked to give presentations within tight time frames. It’s a reminder that good enough is good enough. 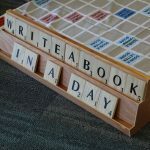 ‘Write a Book in a Day’ brought home what I want for my daughter as she grows into a young woman: an ability to collaborate, confidence in her creativity, a willingness to experiment and a high tolerance for failure and setbacks. Stepping out of the space in order to allow room for her natural inclination towards exploration and inquiry is the only way for her to realise her learning potential. 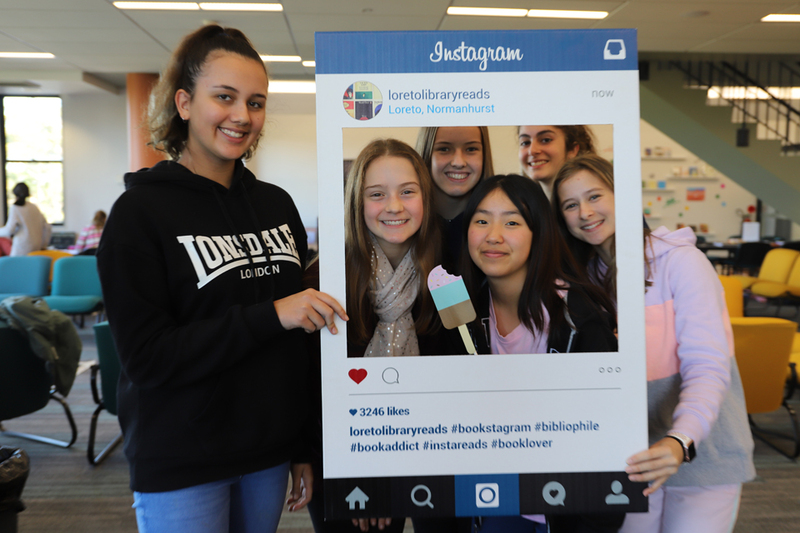 Experiences such as ‘Write a Book in a Day’ as well as a myriad of others on offer at Loreto Normanhurst allow your daughter to do the same. 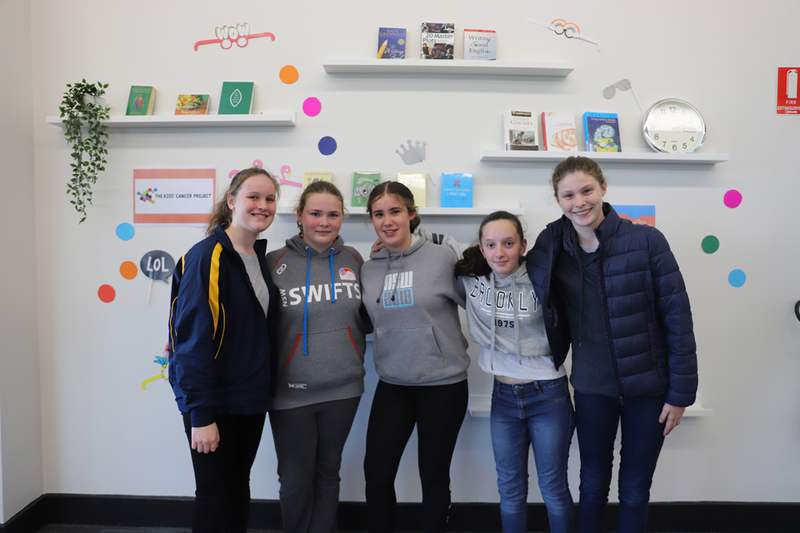 Thanks to the library team, Mrs Andrea Turner, Ms Ambreen Shah and Mrs Vivian D’Arcy for their efforts in preparing the day, to our successful 2017 Kids for Kids Team who returned to give this year’s participants a motivational pep talk in the morning. I could not have scripted better advice! 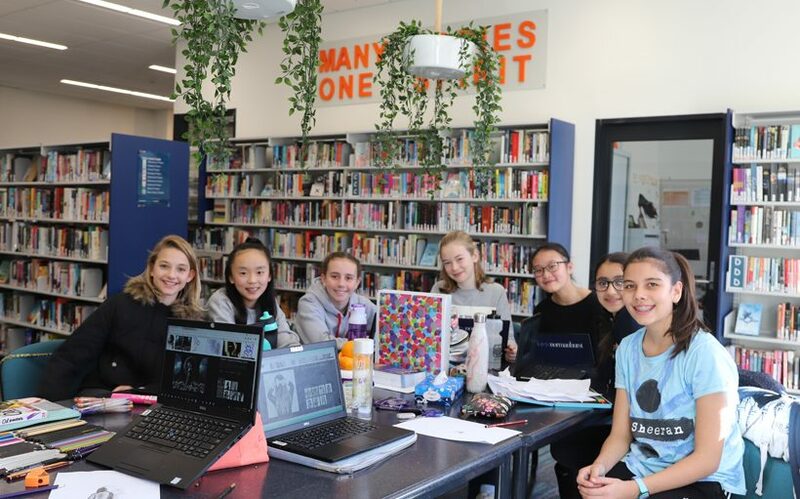 Most particularly, I’d like to thank Ms Rowena Curtis who led the students through the entire process and is continuing to manage their fundraising efforts.